French classic that’s ideal to serve after a Sunday lunch, made with a sweetened batter, not unlike Yorkshire pudding, it tastes great served with scoops of vanilla ice cream or a soft spoonful of crème fraiche. Sift the flour and salt into a bowl, add the sugar then the eggs, egg yolks, vanilla, orange rind and melted butter, whisk until smooth. Gradually whisk in the milk until smooth and frothy. Set aside for the batter to rest for 15-30 minutes. Preheat the oven to 180ºC /350ºF/Gas Mark 4. 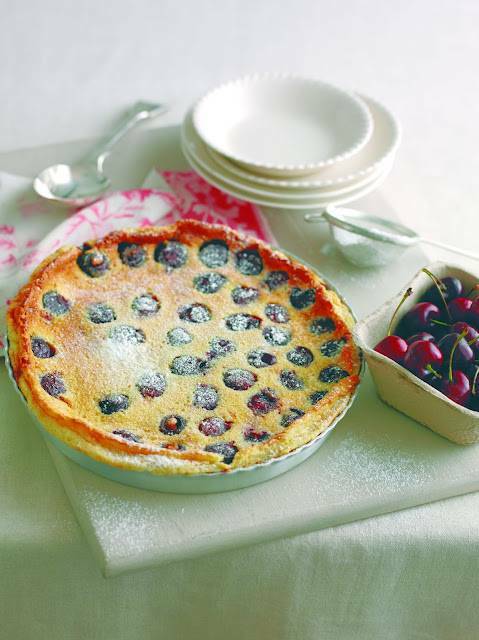 Generously butter a 20 cm (8 inch) diameter by 4 cm (1½ inch) deep round cake tin with a fixed base, add the cherries and heat in the oven for 5 minutes until sizzling hot. Quickly pour in the batter then return to the oven and bake for 30-35 minutes until the pudding puffs around the edges and the centre is just set and cooked like a custard tart. Take out of the oven, dust the top generously with sifted icing sugar and serve warm with spoonfuls of crème fraiche or vanilla ice cream. The dessert will sink as it cools so don’t be alarmed. 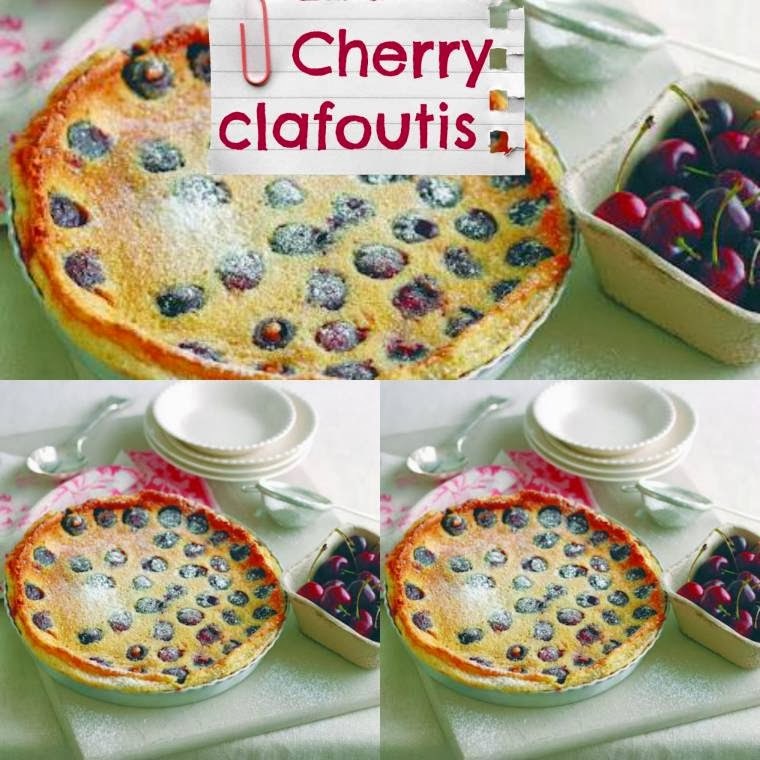 "Cake Masterclass Red Hot World Buffet : Creative Mondays Blog Hop…"
"How To Make Flaming Cherries Jubilee: Impress Your Guests"
I first had Clafoutis as a 15 year old on my first trip abroad on my own. I fell in love then!